You need alcohol at a party, or celebration? There is a menu of liquors and spirits like rum, brandy, vodka, whiskey and tequila. Sale the white, red and rosé wines, both dry wines, semi-dry and semi-sweet and sweet. L & M napoje s.r.o. 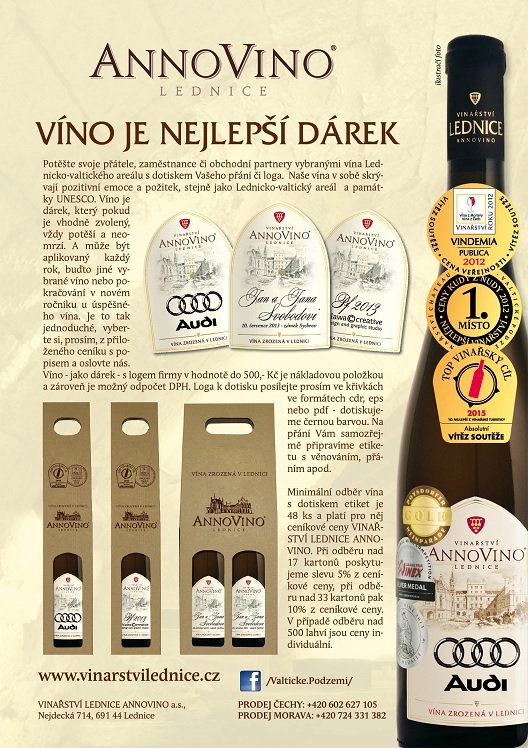 Penzion Mikulov VINO LIPA MIKULOV s.r.o. Vyrobna mezisten a vcelarskych potreb, s.r.o.